Facebook has announced that the slimmed down version of Messenger for Android will feature a new video chat function. The social media platform notes that video chats have become an expected and essential part of everyday communications. Facebook further revealed that the number of video chats on its Messenger platform doubled in 2017 to 17 billion as compared to the previous year. With that in mind, Facebook is bringing the same functionality to its Messenger Lite app. The video chat capability will offer a similar experience to most messenger apps; users can even upgrade an audio call to a video chat while still in the call. While the intended purpose of Messenger Lite was to keep it ‘light’ in size, this latest update does add a bit more MBs to the app. That said, compared to the standard Messenger app, the Messenger Lite app is still uses way less resource and much more space saving. 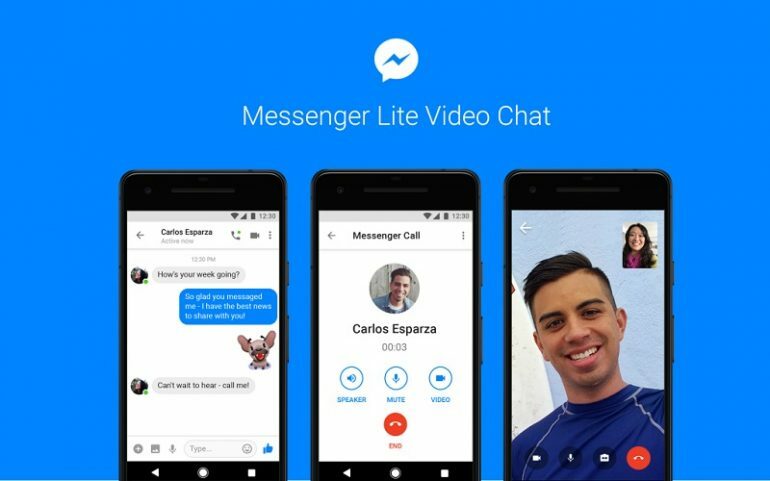 Catering to markets with slower than average internet speeds and those with older Android devices, Messenger Lite uses the core features of the popular app; including messaging, sending and receiving photos and links, and receiving stickers. To get started, make sure you have the latest version of Messenger Lite. Open an existing conversation or find the person you’d like to chat with in your contact list, then tap the video icon on the upper right corner of the screen.